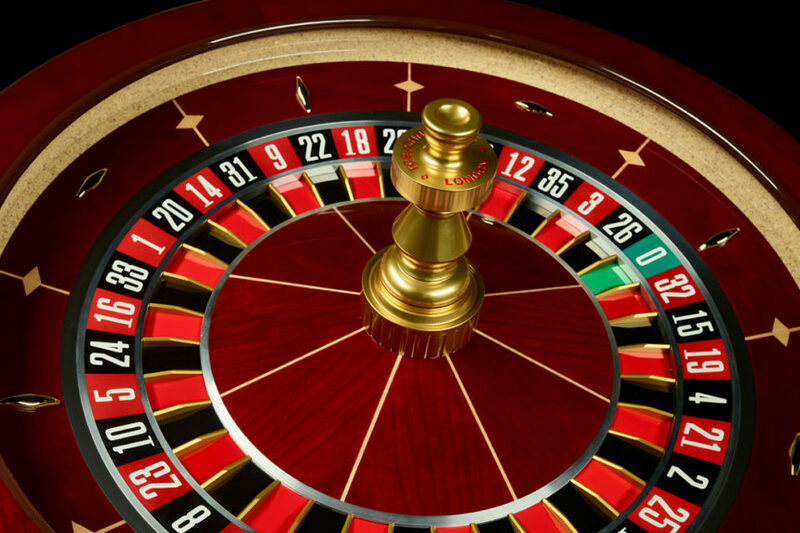 There are two types of Roulette Wheel, and people are often unsure as to which is which. At PotsofGold.com they offer a fantastic selection of roulette games, both virtual and live dealer based, and both of the main types of Wheel will be featured, so just what is the difference and how does it change the odds? At first glance, you would be forgiven for not seeing much difference between the two main roulette wheels and to be fair, the difference comes down to one space on the wheel alone. A European or French roulette wheel features 37 spaces. The main bulk is the 36 alternating red and black numbers sections, and the last space is colored green featuring a zero. An American wheel is almost the same, except that there are 38 sections with the addition of the double zero (00) space which changes the odds. There has been suggested over the years that the American casinos deliberately created this version to tilt the odds more into the house favor; however, history reveals that this was how the original game was designed, it was a modification some years later that took away the second zeros leaving just the one. So What Does This Mean For The Odds? Because there are two green zeros on an American wheel, this does push the odds back in the favor of the house slightly more than the European wheel however it still remains a firm favorite even with many different variants of the game on offer. Looking at a simple outside bet on red or black we can see that for both heels the payout is 1:1, you get back your stake plus one time the value. On a European table, the odds or the chance of winning a red/black bet is 48.65%, whereas at the American table this decreases slightly to 47.37%. This means that in terms of House Edge, the European table is 2.7% and the American table is 5.26%. Overall on a single number inside bet, this means that your payout on both wheels is 35:1, again this stays the same for both. On a European table, the odds or the chance of winning a single number bet is 2.70%, whereas at the American table this decreases slightly to 2.63%. This means that in terms of House Edge, the European table is 2.7% and the American table is 5.26%. As you can see the house edge has remained the same on both types of bet, and this is the case on all bet types.